Your online store’s performance depends on where your customers are from. 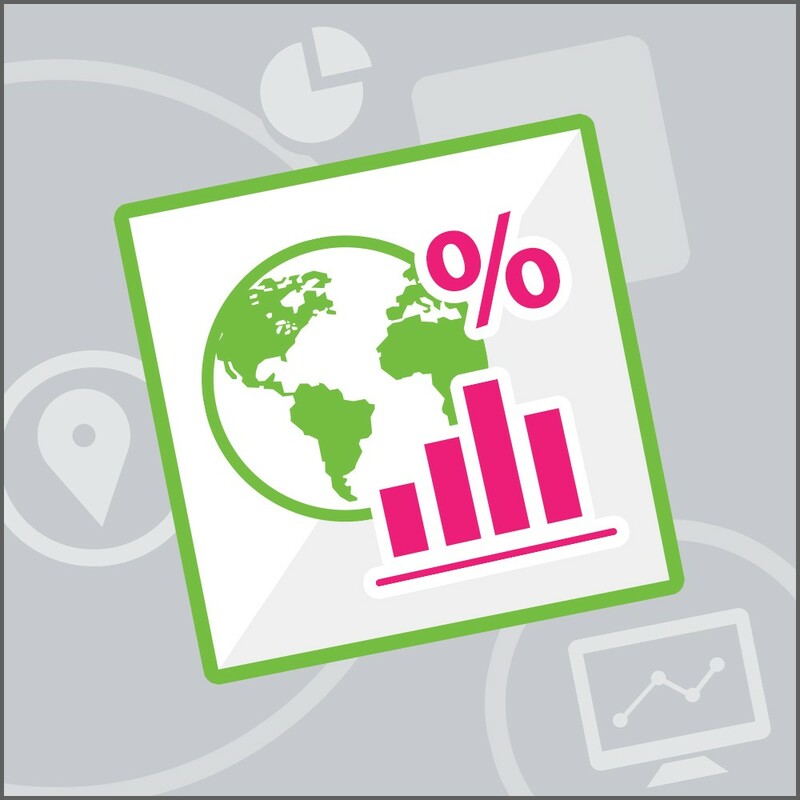 Discover new opportunities to grow international sales with this PrestaShop developed module. 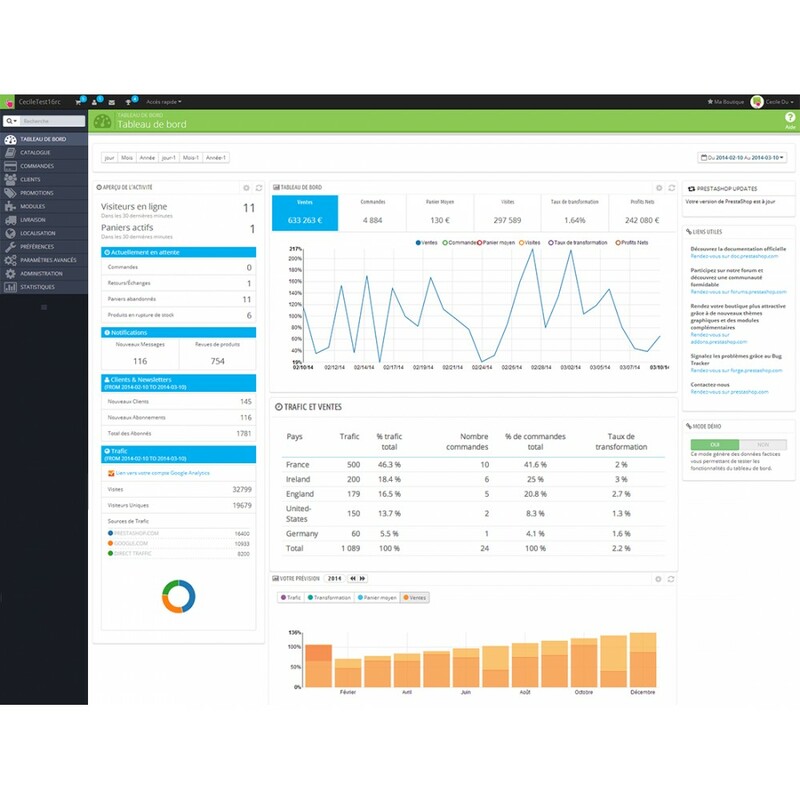 By installing this module, you gain access to a dashboard with in-depth analysis on your ecommerce sales history. 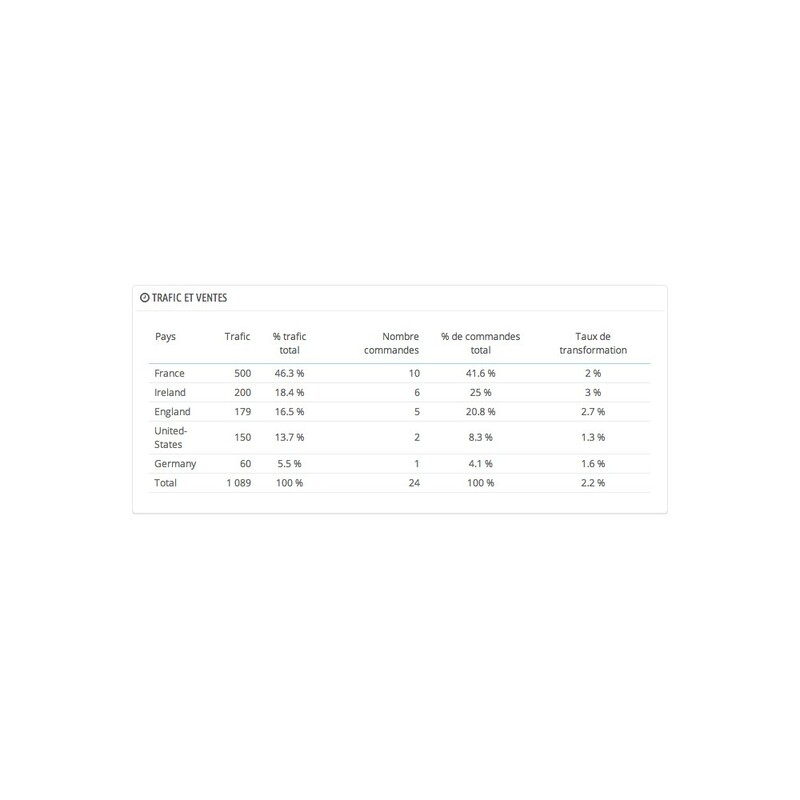 Note : this module uses the native module "Google Analytics API" (available in your back-office) to connect to Google Analytics. Be sure you have it installed and activated in order to be able to use your Dashboard module. Already selling internationally or want to? Looking to optimize your site? This dashboard helps you to ask the right questions and gives you answers in seconds. Which product pages should you improve for each countries? Which currencies should you support in your store? What languages should you translate your site into? Which shipping service should you use?